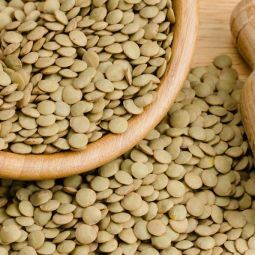 Tasty and soft chickpeas for the best dishes. 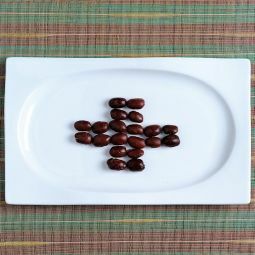 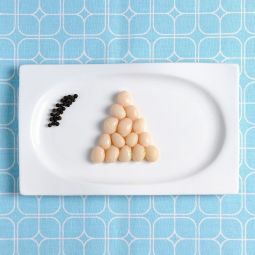 The Chickpeas Extra are naturally cooked and they are a craft product ready to eat. 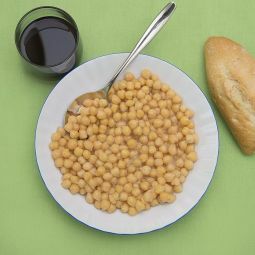 Enjoy one of the most important ingredients of the traditional Spanish kitchen, the soft and tasty chickpeas, the way you like them best. 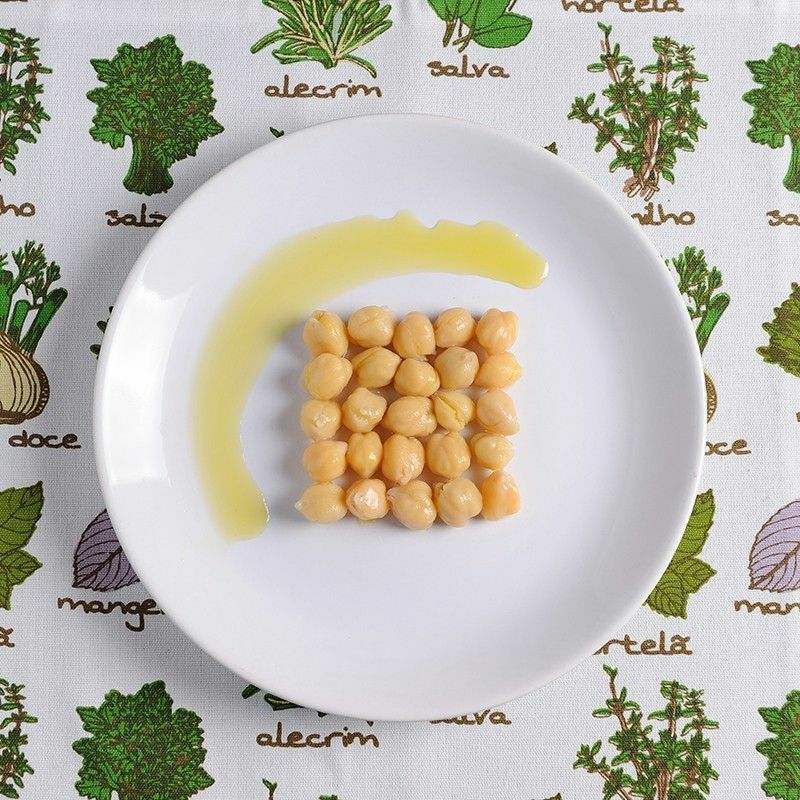 Our Chickpeas, from the "lechoso" variety, are naturally cooked. 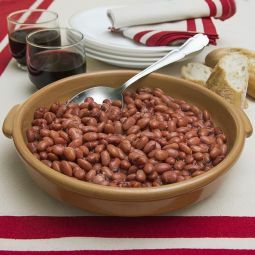 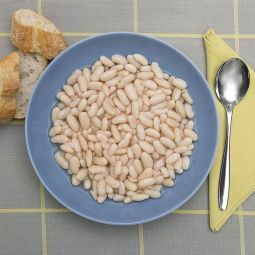 Their big size, their soft texture and their ideal taste convert this simple legume into a superior product. 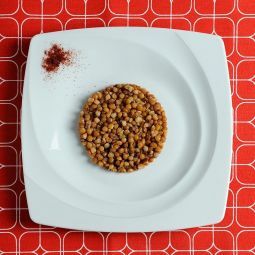 The soft Chickpeas are elaborated by hand. 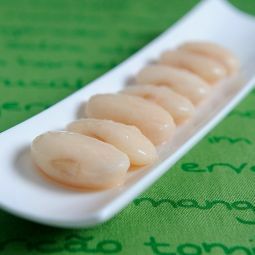 They are a completely natural, high quality product without colouring and preservatives added. 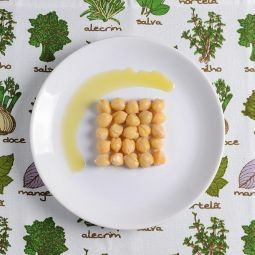 Our Chickpeas are already cooked and they save you time preparing your homemade dishes. 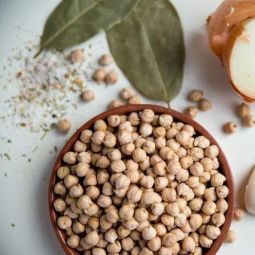 Exist an infinity of possible combination for our Chickpeas: as a traditional Spanish stew with spinach and rice, as part of a rice in the oven (a Paella like dish made in the oven), more exotic with curry, as a salad or a quickly prepared humus.